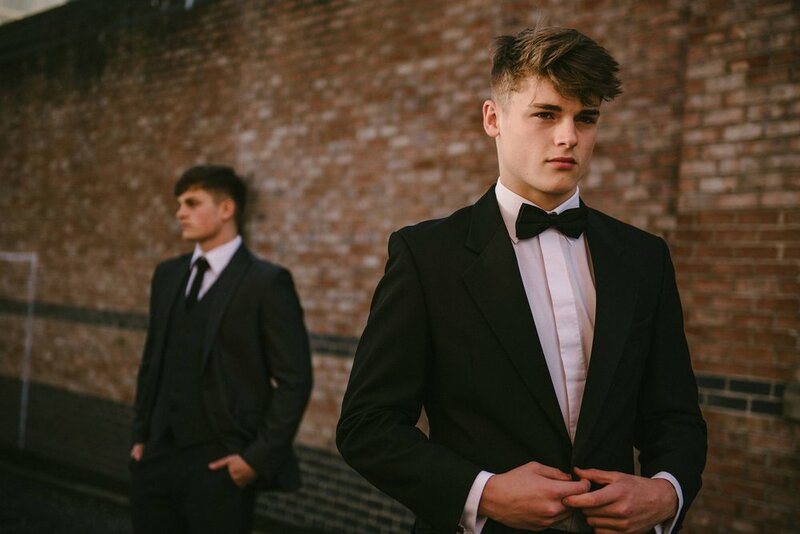 Prom night is all about celebration; we want our young men to look and feel elegant, poised and confident on their prom night. 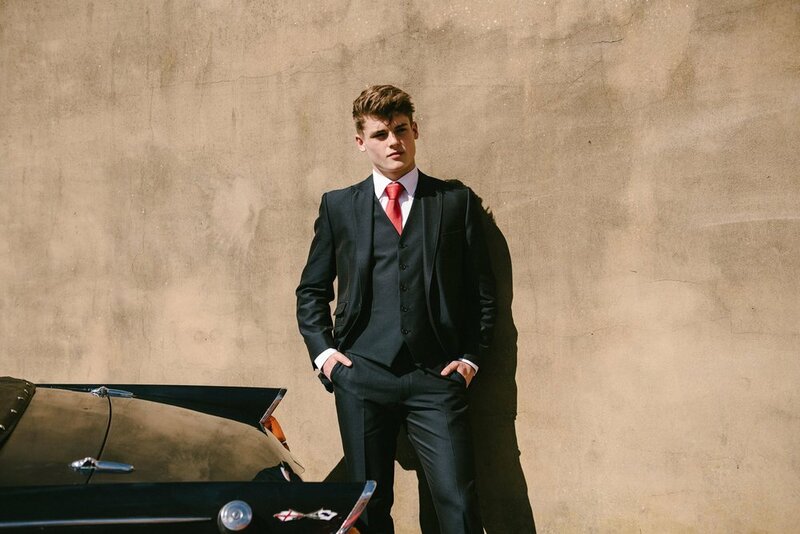 With this in mind, we’ve put together two special Prom suit packages for you to choose from. 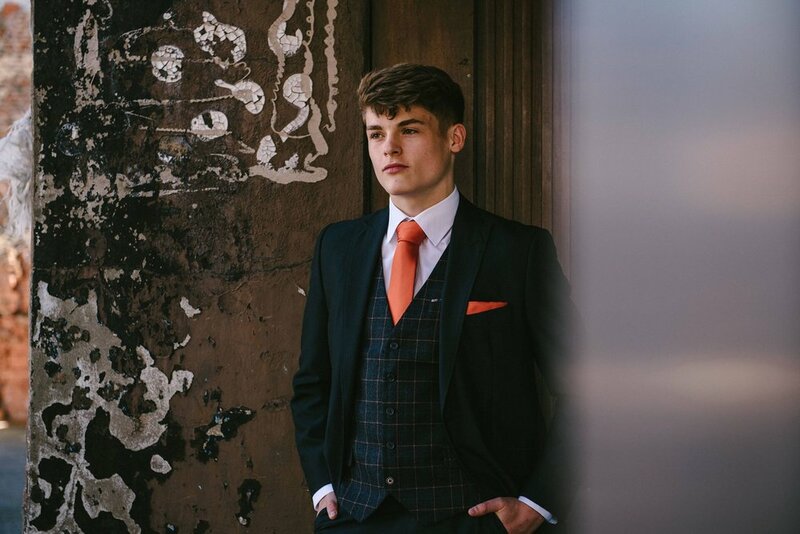 Select the Dinner suit, shirt and a choice of a tie for £35.00; or a lightweight Lounge suit with accessories from £70.00. If you would like to add a waistcoat in this seasons’ colours, it’s just an additional £15.00. All suits are available to try on in the shop. Please note an Accidental Damage Waiver of £5.00 will be added to each suit hired. 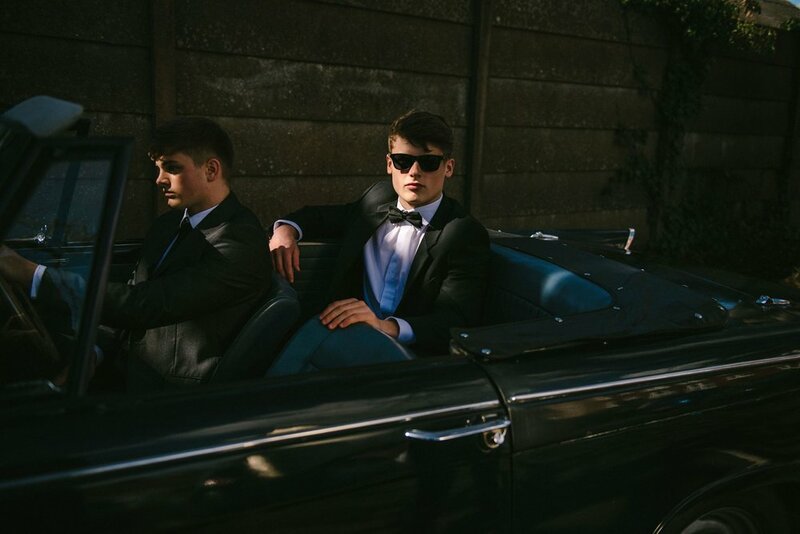 We have the younger men covered too, whatever the occasion, they can look the part. 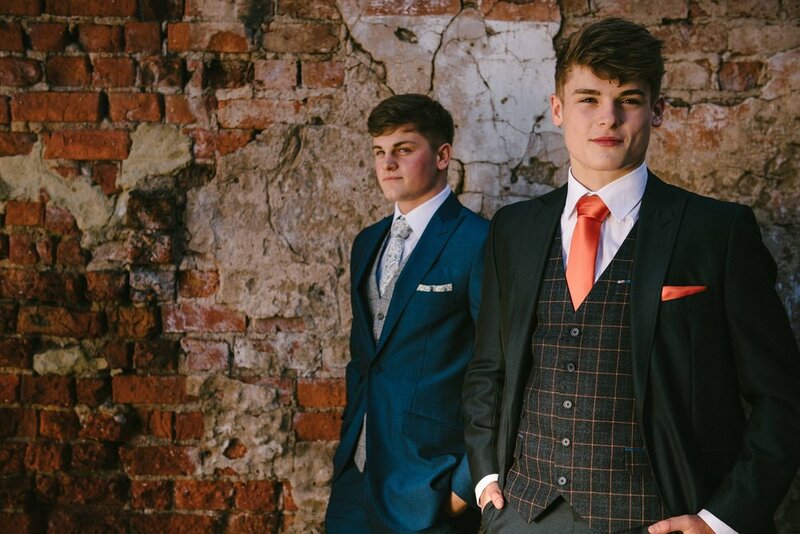 Whilst choosing your Wedding suit, be sure to find a matching outfit for your page boy. 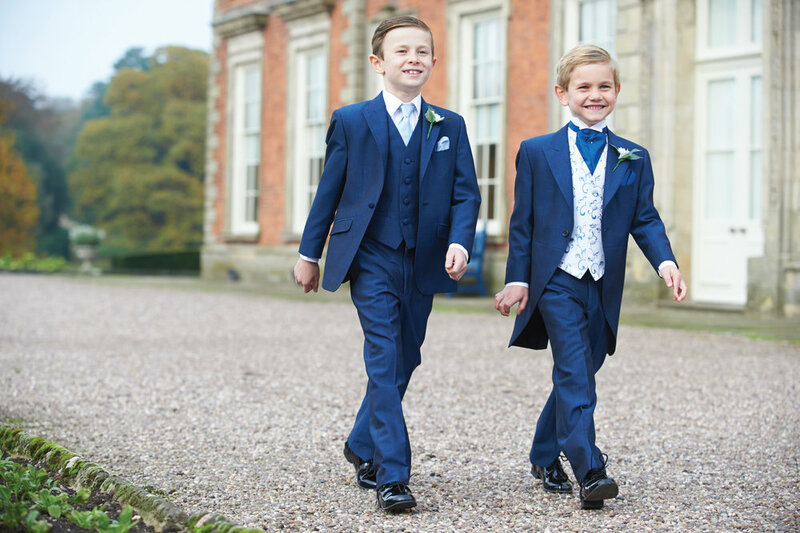 Almost all the adult outfits are available to hire in matching boys’ sizes, generally from age 2 and up. 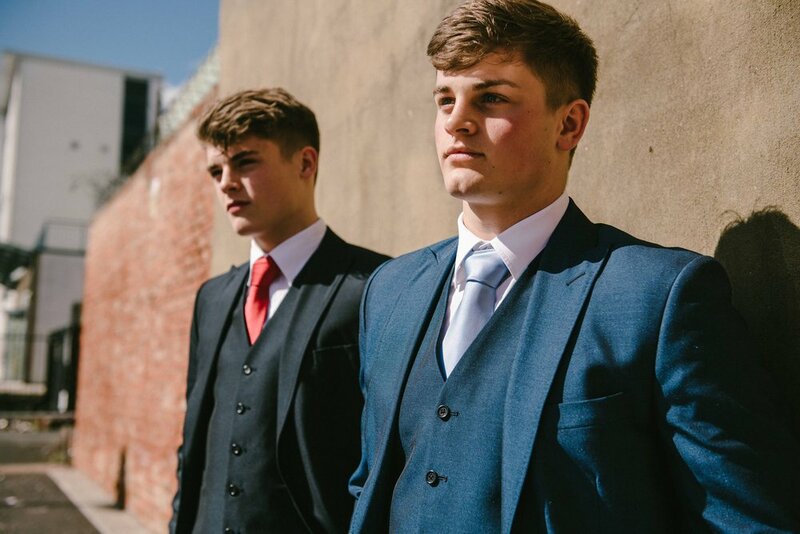 These can be spruced up with waistcoats, shirts, ties and cravats, all are available in a wide range of colours and styles.